Best Chinese Knives: Knives and Flashlights To Buy in the 11/11 Gearbest Sale + Coupons! Knives and Flashlights To Buy in the 11/11 Gearbest Sale + Coupons! So, the 11/11 sale is happening tomorrow and this is the chance to present you some of the best deals and coupons for this sale from one of my favorite sites to buy knives and other gear from - GearBest.com. The reasons I like this site are that it is PayPal friendly, gives good consistent Customer Service and of course has the best prices in comparison to most it's competitors. GearBest managers have made a promotion page for knives: GearBest Knife SaleMost of the promotions and coupons are active now, more will become active on the date itself (11/11). 1) Ganzo FB7601 - Knife so nice I got it twice - the CF version and the G10 one. Awesome original design from Ganzo, bearings in the pivot (very smooth) and finally a great deep carry pocket clip. FB7603 (coated blade version) is also available. 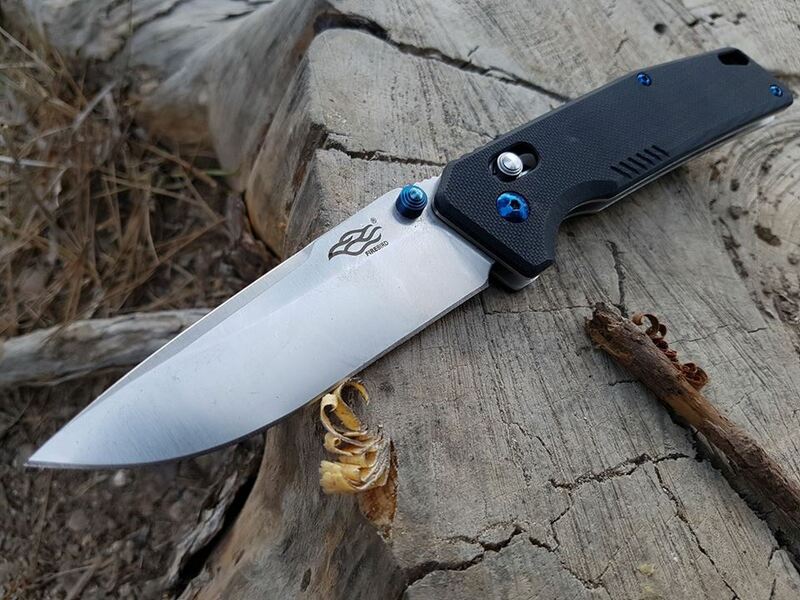 2) Sanrenmu 7130 - The Izula Killer - great small EDC fixed blade, made from 8Cr14MoV and that great Sanrenmu quality and QC. My guess this knife is going the next big hit! 3) Ganzo FB7611 - Another new original design offering from Ganzo Firebird. Is going to be my next purchase cause I have to check out this handle shape. 4) Zanflare F1 Flashlight - Got this one for dog walks and enjoy it a lot. 1200+ lumens, multiple modes including strobe at a push of a button, glass breaker and is rechargeable via standard micro USB port. Great offering and I highly recommend it! 5) Harnds Talisman - Awesome knife I reviewed on the blog now for the lowest price ever - $19.99 on a flash sale! Also, I could recommend checking out the Xiaomi products page - great company that produces high quality items for great low prices. I use a phone made by them, a laptop, some lamps, bought Mi Bands for gifts and I enjoy all of them.